The calamities facing Tony Abbott, advance Australia unfair, and David Feeney finds a home. 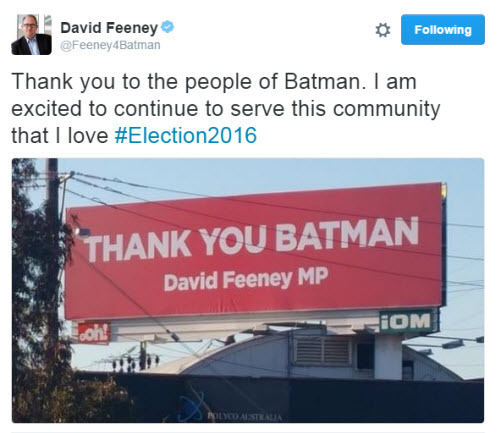 Not everyone is so salty about embattled Labor MP David Feeney. Good morning, early birds. ASIO returns to the ABC to take possession of the cabinet files. Plus, Labor MP David Feeney's resignation creates factional friction for Bill Shorten. It's the news you need to know, with Chris Woods. Labor has started the year messily and Bill Shorten can't always rely on the Liberals to take the spotlight off his own flaws. Good morning, early birds. The dual-citizenship crisis hits home for Labor, and America's Russia probe digs deeper still. It's the news you need to know, with Max Chalmers. Crikey readers voice their strenuous objections.